When I was a little girl my Daddy didn't want me to play with Barbi dolls. He didn't like that they had such "feminine accents". 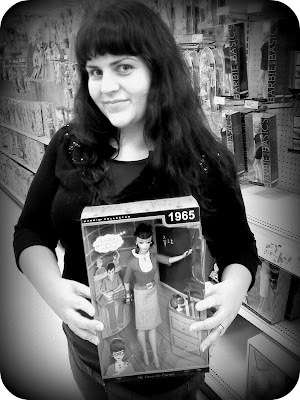 We found this 1965 Student Teacher Barbi and I'm thinking my Daddy would approve. She is beautiful and she is a teacher. Was there a toy that you didn't get when you were growing up? 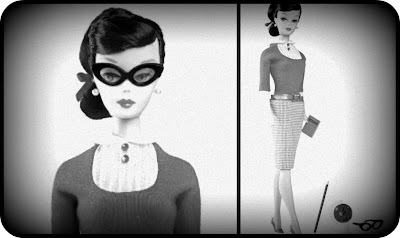 in love with all the older barbies. i hope you brought her home! what a great find! I love her glasses! I didn't bring her home. I'm not sure what I would do with her. She looks so pretty in her box. Maybe if I have a daughter one day, I'll buy it for her.